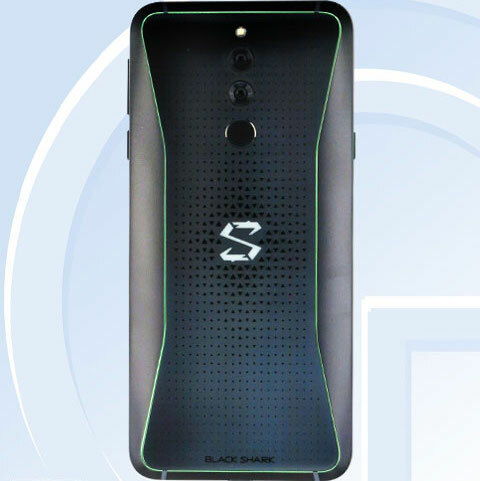 Chinese tech giant Black Shark introduced a new brand called Black Shark early this year. They supported the Black Shark company when they announced the Black Shark SKR – H0, which is its first gaming device with SD845. It appears that the gaming division of the tech giant is getting ready to introduce its second gaming smartphone i.e. BlackShark 2. According to Phone Radar, the company appeared once again alongside the new Black Shark 2 gaming phone at the Chinese certification agency TENAA. The device has a model number AWM-A0. Some images of the device are also published and allow us to see a glimpse of its design structure. In terms of specification, Black Shark 2 will feature a 5.99-inch display with a resolution of 2160 x 1080 pixels and the 18:9 aspect ratio. DCI-P3 and color gamut of up to 97% also support its display. The display notch has a power button on the right side of the device. This device will also run on Qualcomm Snapdragon 845 SoC paired with an Adreno 630 graphics processing unit. The added Pixelwork independent image processing chip will come with 8GB RAM and 128GB of internal storage. In the photography department, Black Shark 2 will have a dual camera setup on the rear side with a fingerprint sensor. The engraved green color arc will indicate the colored LED light or a liquid cooling system. This liquid cooling technology is similar to its predecessor and prevents excessive heat while playing games. The rubberized material for gaming purposes is on the back side. The volume rocker and some dedicated button or slider are seen on the right side. The 4000 mAh battery will provide power to the device up with some fast charging technology. The price of this upcoming gaming phone is expected to be around 2999 Yuan. So, are you excited to get your hands on the Xiaomi Black Shark 2 gaming phone? Let us know by writing in the comment section below.